In Medieval times most convents owned a varied herbal garden, providing all the remedies which were known and used in these times. These gardens were arranged symmetrically and in special orders, so certain herbs or roots could easily be found and prepared in the apothecary tracts of the monastery. 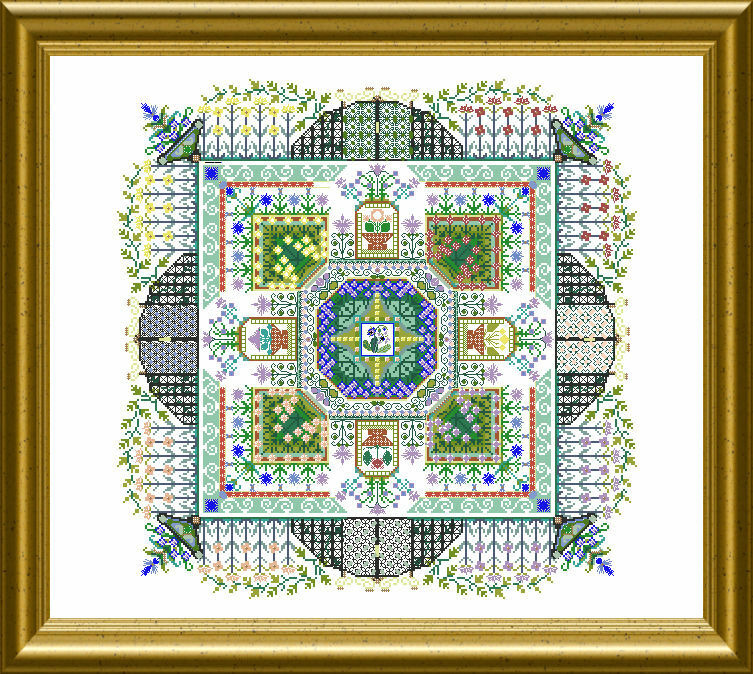 Here you now can stitch such a garden, filled with healing plants. 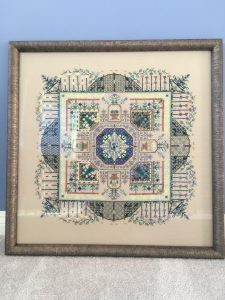 Mostly cross stitch, but you will add lots of Special Stitches for dimension and use beautiful variegated silks, metallics, beads, and sparklies for added interest. 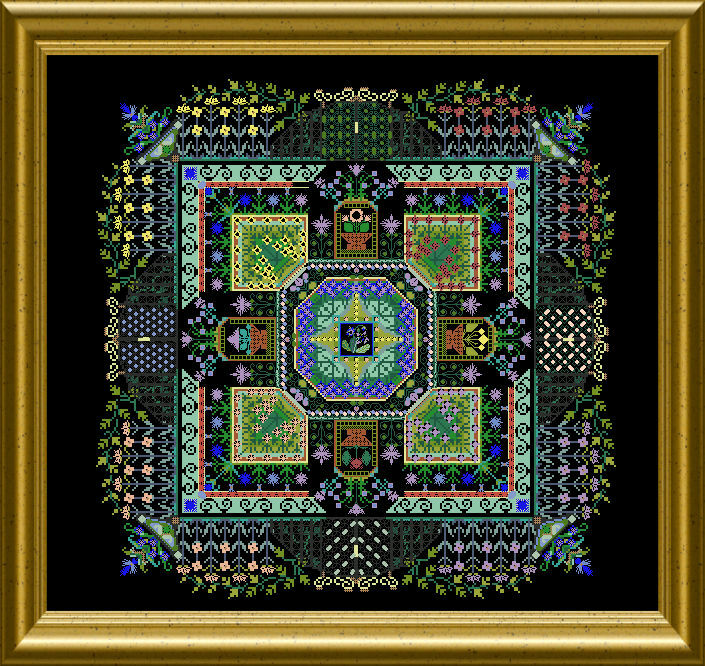 The mere design size of this Mandala is 260 x 260 stitches. I actually have this kitted up except the fabric but after seeing it on black, I think my choice has been made. This is a stunning design! Hello, y want to buy thread for the convent’s herbal garden chat 024, y don’t found the gatherer silk’n colors 036 and 054, can you help me please ? where can y found it ? This is so beautiful. I bought this in a black and white instruction. I would like to know if I can order in color for back stitching. I also would like to know how obtain some of the threads. Hi Michelle, you can purchase a PDF version from my site – which comes in BW and color. You can print it out yourself in the enlargement you need for your eyes. A help file is stored in the FB Support group. I have a question about the gates at the top. The Anchor Marlitt is quick thick; should I use one strand or two to stitch the x-stitches in the gate? This depends a bitfrom your fabric count – the denser the fabric, the thinner a thread can be and give still enough coverage. I would say split the Marlitt and try with one ply or two. Look what you like better !